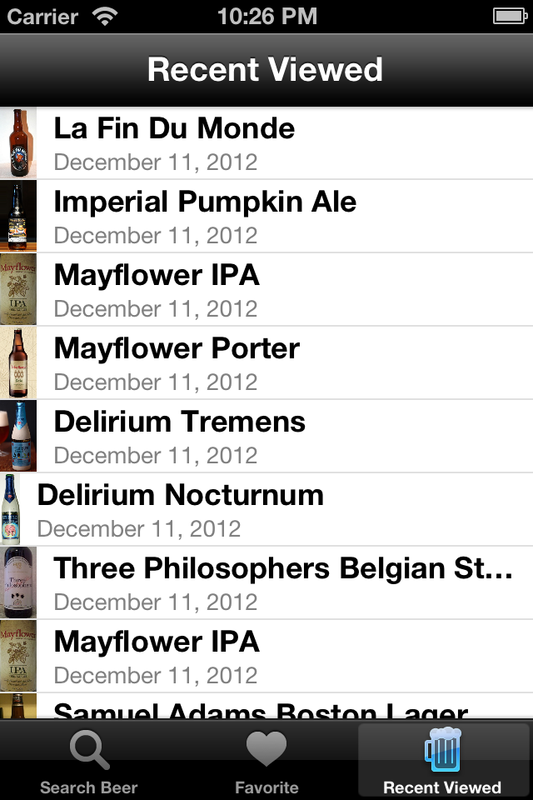 This a simple project to create a fast, native interface to beeradvocate.com for iOS devices. I made this and have made it free because I like beer and use beer advocate heavily. At the moment there is no iPad version since the site shows up perfectly fine on iPads. 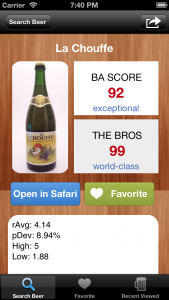 I also use the app more when I am out at bars and want to check the score of a beer before I order. 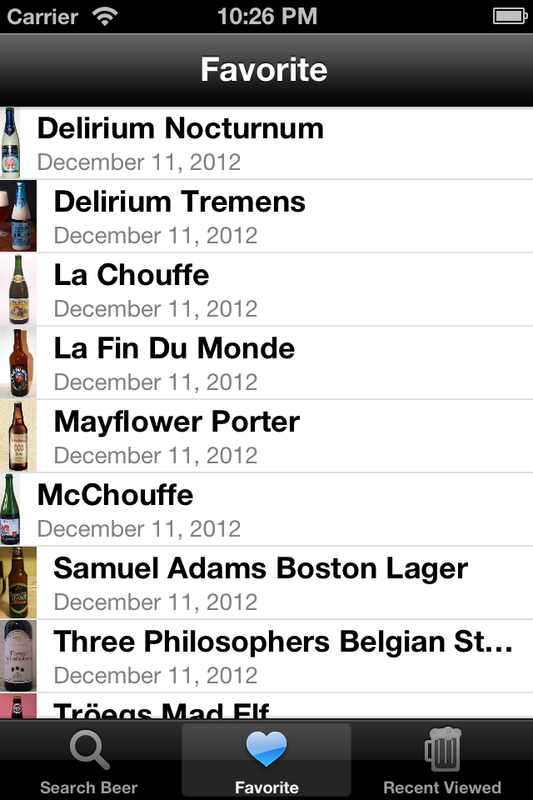 It allows you to save favorite and keeps track of beers viewed in the last month. 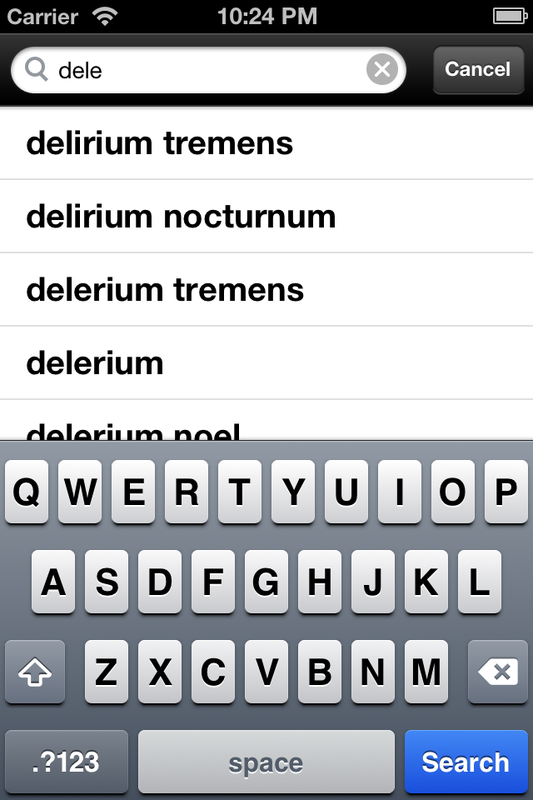 I am looking forward to this app. Please keep us updated on it’s release. I live in Boston. We have a pretty vibrant craft beer scene here. I think having Sam Adams (which isn’t really small anymore) based here helps a lot. In addition to the local craft beer scene, certain bars like publick house have fresh shipments of beer from across the atlantic every week. It makes it so that I can go to a local bar and have on tap a seasonal beer I had when I was in Europe.